“See what love the Father has given us, that we should be called children of God; and so we are” (1 John 3:1). After decades of preaching the Word—the same message day after day, year after year—Saint John could still be surprised by the Good News. It still made him giddy to know that he was a child of God. His joy was communicable, and it still is today. I know this for a fact, because I just spent a week with fourteen young scholars intensively studying John’s first epistle. 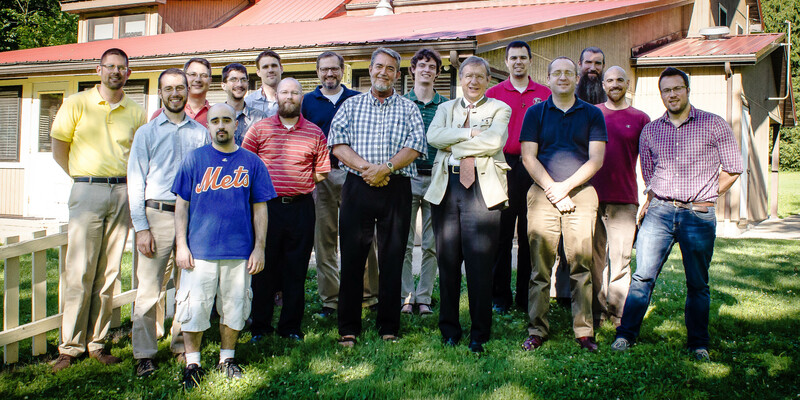 The occasion was the Saint Paul Center’s eighth annual Summer Institute, and I believe it was our best and most fruitful gathering ever. Our attendees converged from all points of the compass—from Notre Dame, Boston College, Ave Maria, Catholic University, Duke, Marquette, the Pontifical Biblical Institute, and Rome’s Gregorian University. The gathering included our highest number of people enrolled in doctoral programs—and the greatest number of Old Testament specialists. Our faculty was stellar. Dr. Michael Waldstein of Ave Maria University began with classic works of art and used them to lead us into the biblical text. Dr. Daniel Keating of Sacred Heart Major Seminary drew deeply from his recently completed commentary on Saint John’s epistles. Dr. John Bergsma of Franciscan University spoke about the significance of Israel’s dispersion and restoration. We conducted our sessions throughout the day and into the night. I led a series of seminar discussions—that, given the expertise of the group, were quite lively. Prayer punctuated our days and evenings: daily Mass, the Rosary, a holy hour, the Divine Office. There were opportunities for Confession. There were opportunities as well for pickup basketball games and Frisbee. I was inspired by their vigor—both physical and spiritual. It gives me hope, as I know these scholars will be around for a long time, training future generations in the Scriptures. Most will be professors, equipping seminarians and other students to break open the Word for fellow Catholics. Some will be priests and deacons, leading tomorrow’s Church through prayer, preaching, and reasoned resistance to a wayward culture. It seemed like too much fun. Throughout the week we felt like little children—to use Saint John’s phrase—and we were at play in the garden of his Word. And so we were! You made it possible, and for that I’m profoundly grateful. Because of your prayers, your encouragement, and your financial support, we at the Saint Paul Center can make opportunities like this for the leaders of tomorrow’s Church, enabling them to grow in their knowledge of Scripture and Catholic tradition. See what love the Father has for us that he has brought us together in this way—for the privilege of doing his work. Count on my prayers through the many great feasts we celebrate this month. Please remember to pray for us and the work we share.